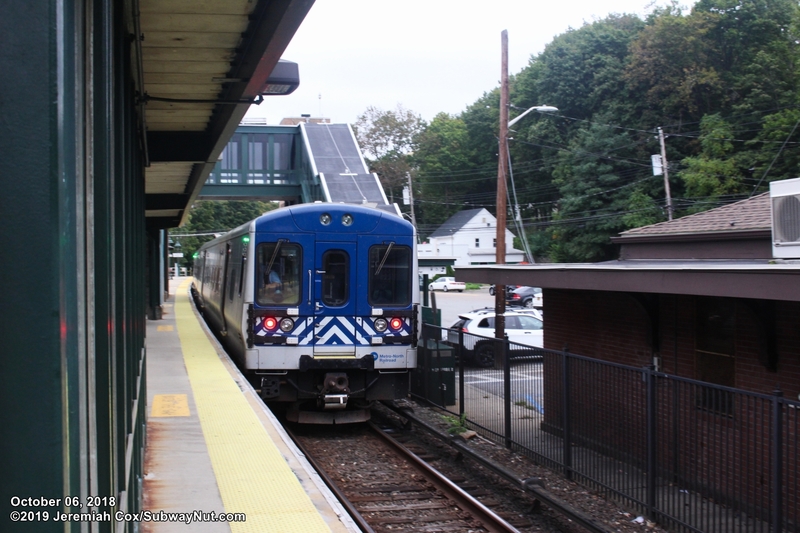 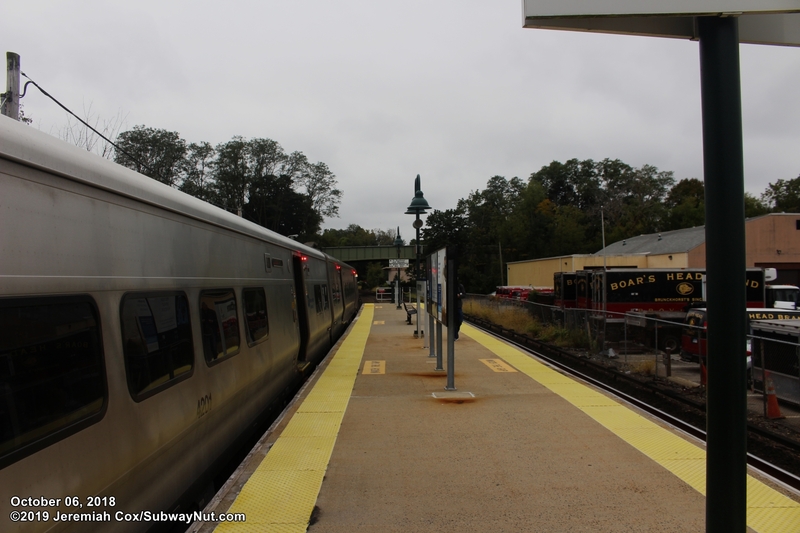 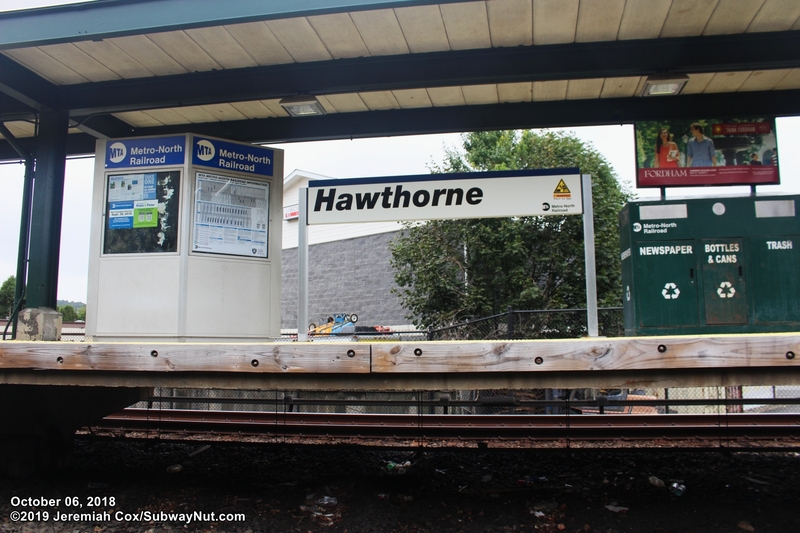 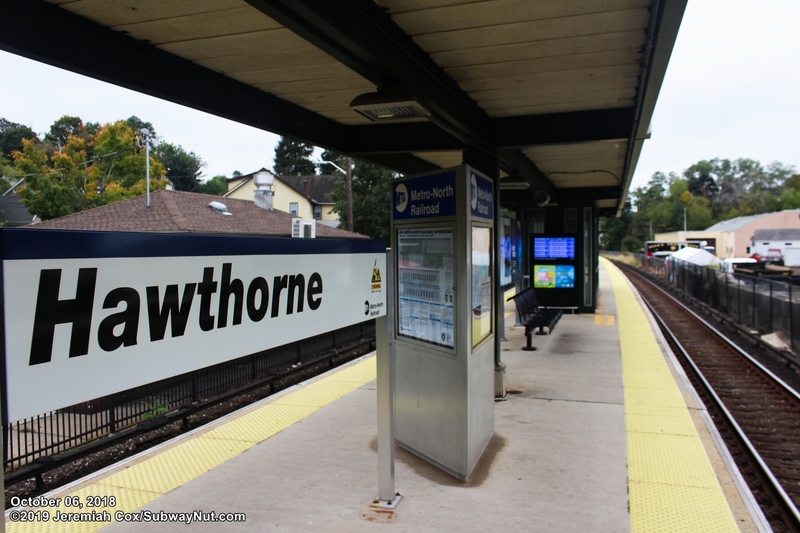 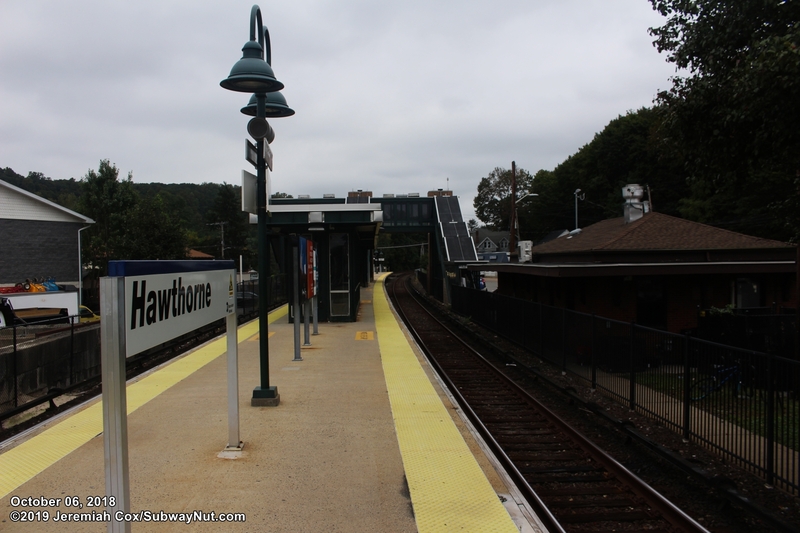 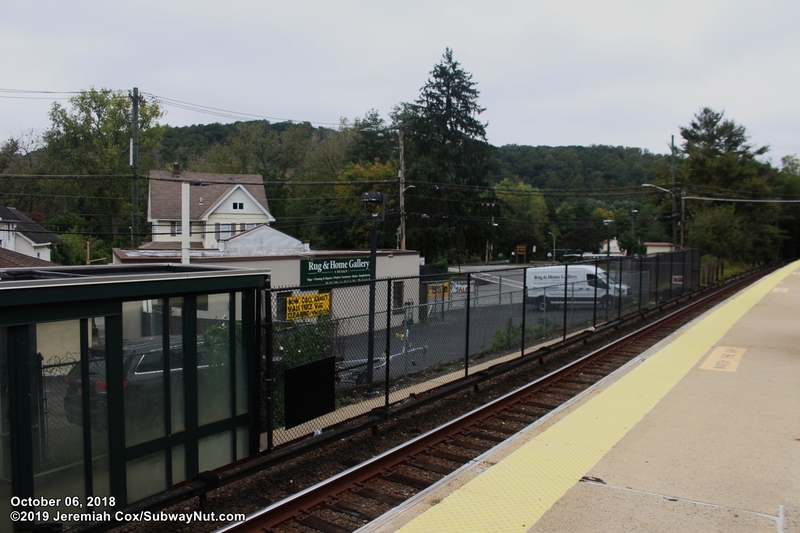 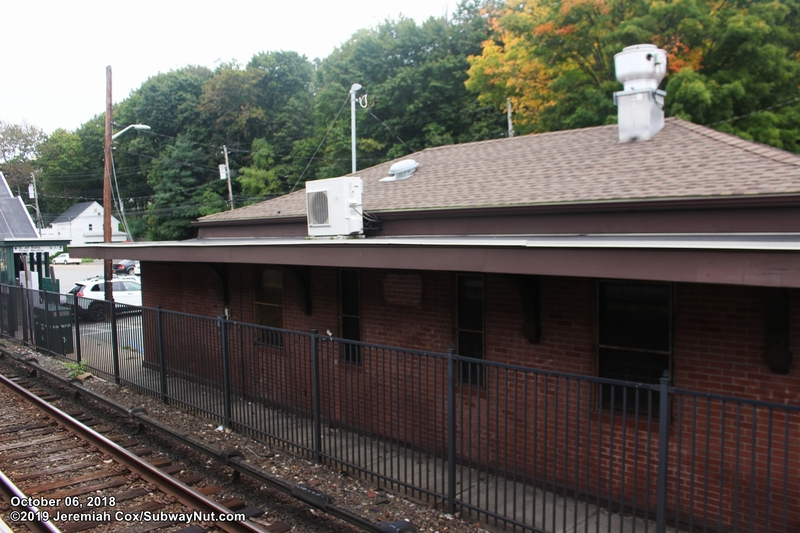 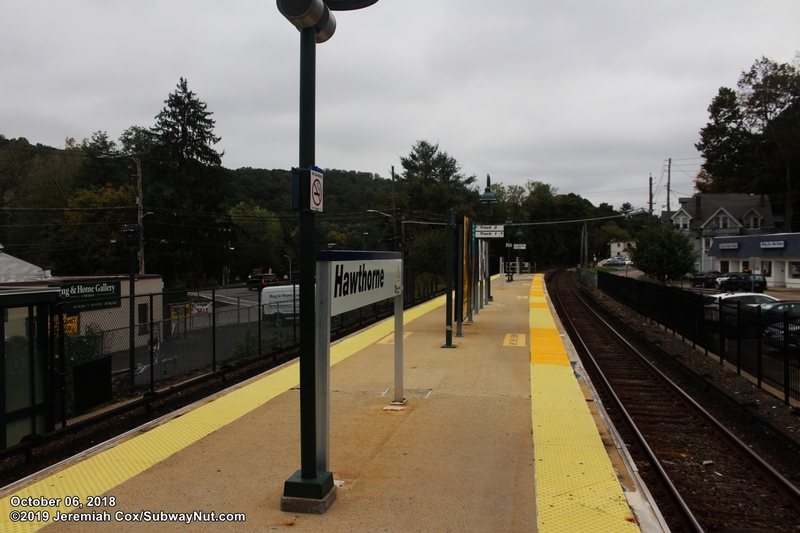 Hawthorne is an upper Harlem Line station that was rebuilt for electrification in 1984 with a new island platform across from a simple brick depot. 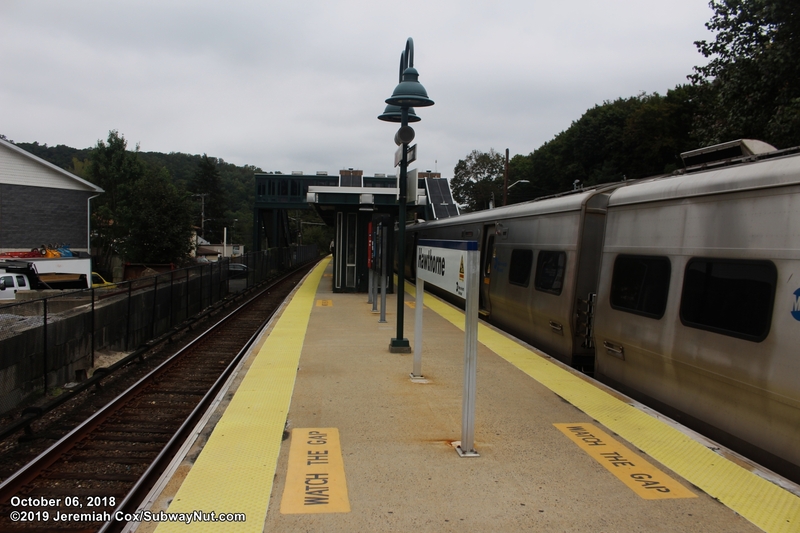 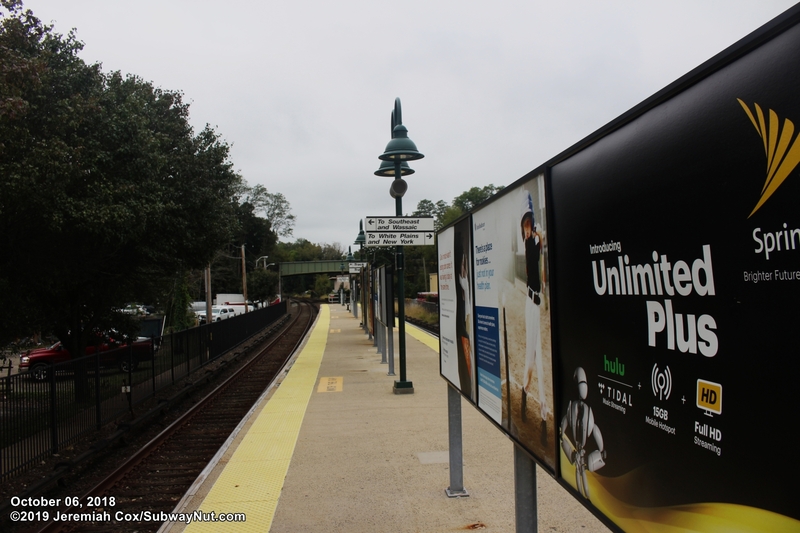 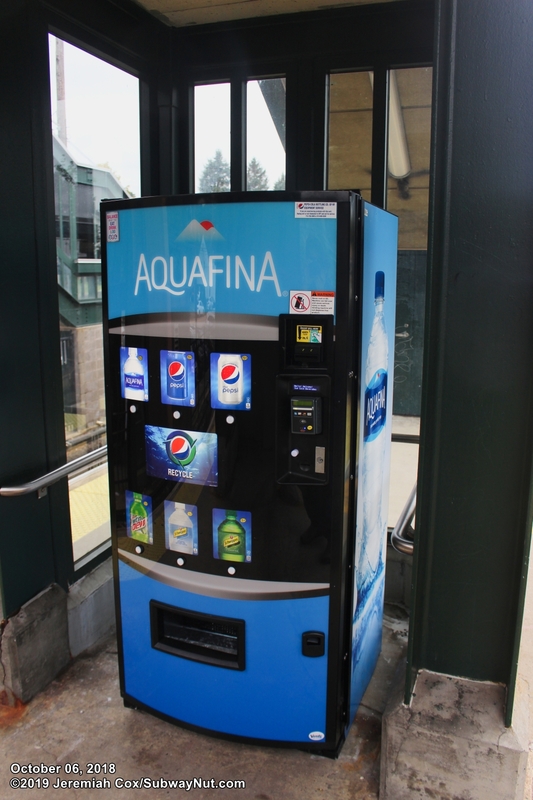 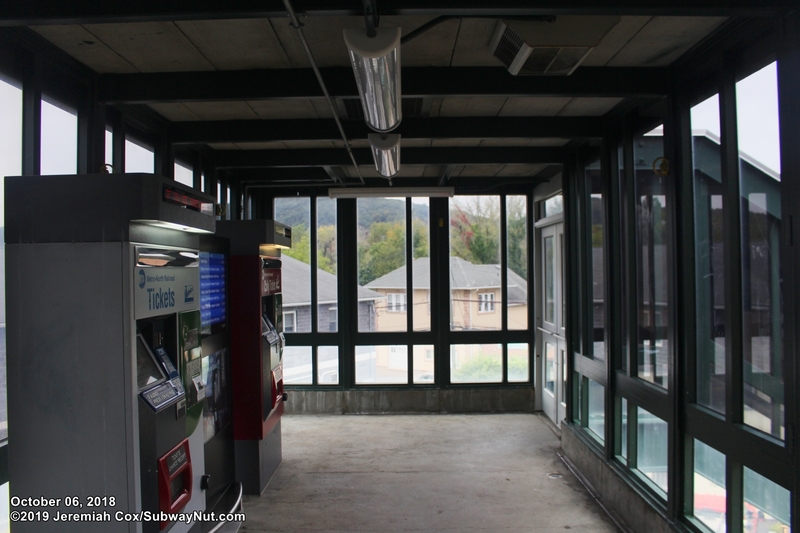 The station was given a minor cosmetic refurbishment under the Stations Enhancement program in 2013. 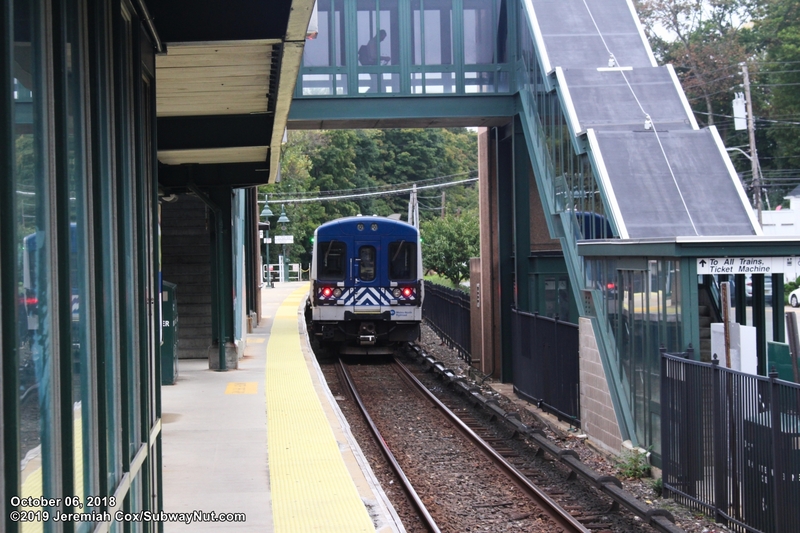 The stop has a single island platform for the two track line. 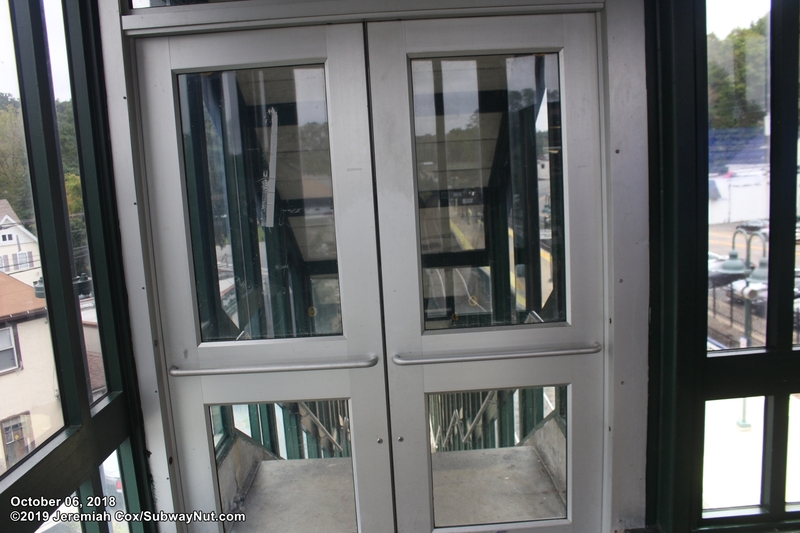 Access is via an enclosed pedestrian bridge leading to a single elevator shaft and staircase down to near the middle of the platform. 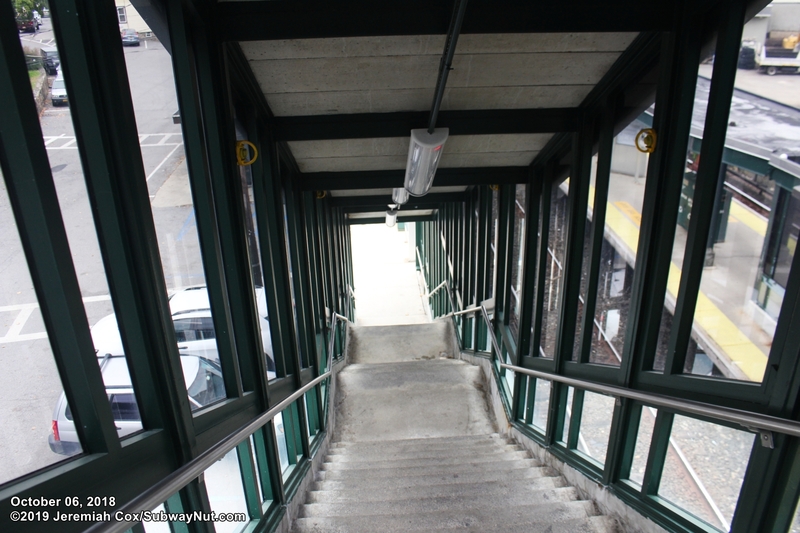 Attached to this staircase is a canopy that covers a couple of car lengths, and a single enclosed shelter. 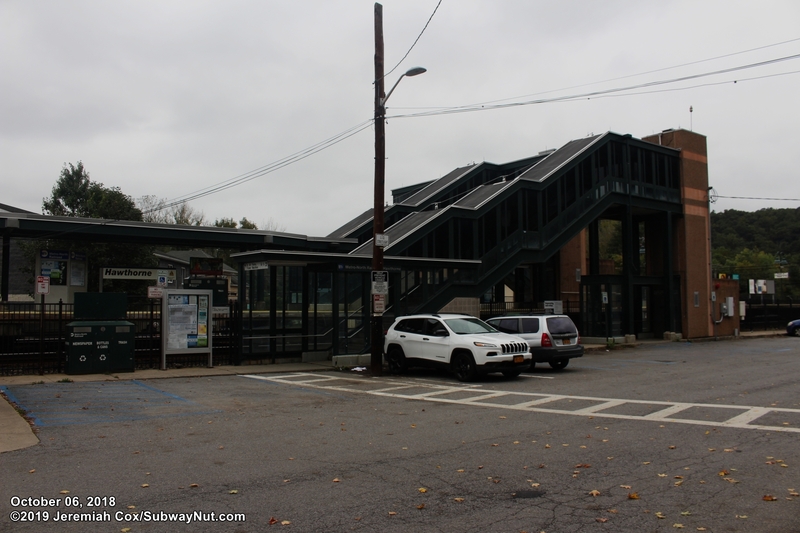 Access to the station's pedestrian bridge is via stairs down to west side of the tracks, and some small buissiness with commuter parking on street along Broadway. 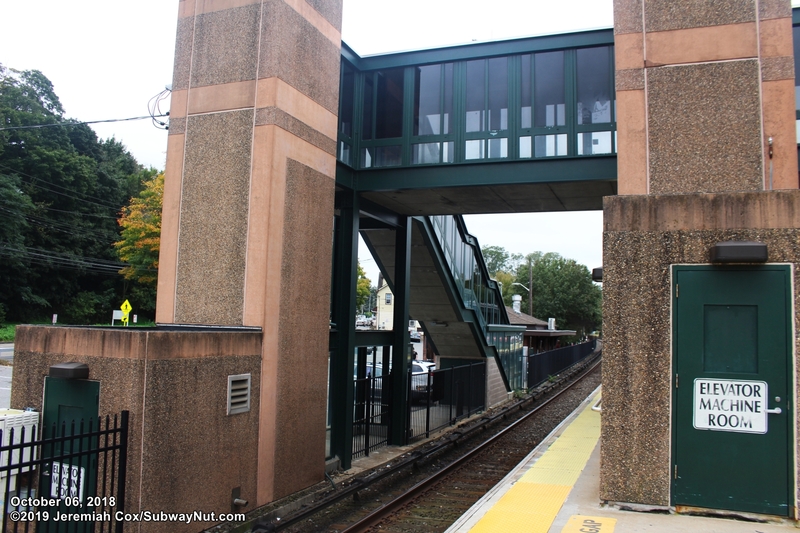 The main exit is via a staircase and elevator to the east side of the tracks with a small parking area leading to Elwood Avenue. 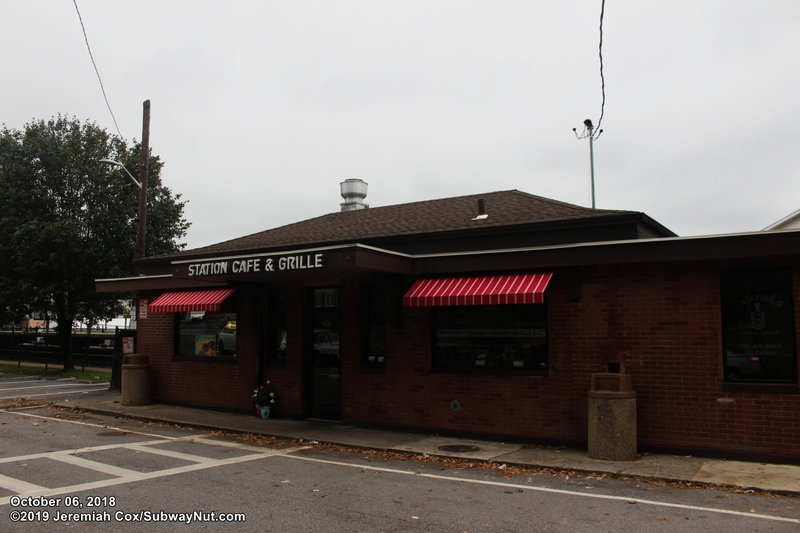 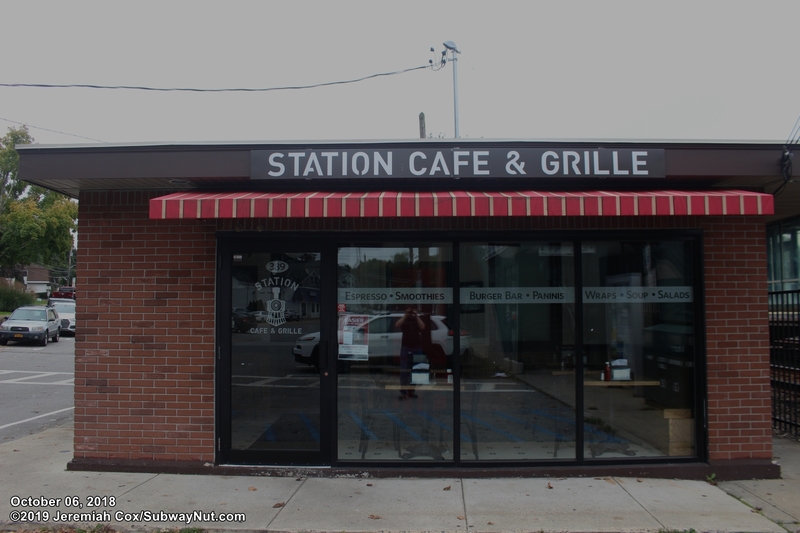 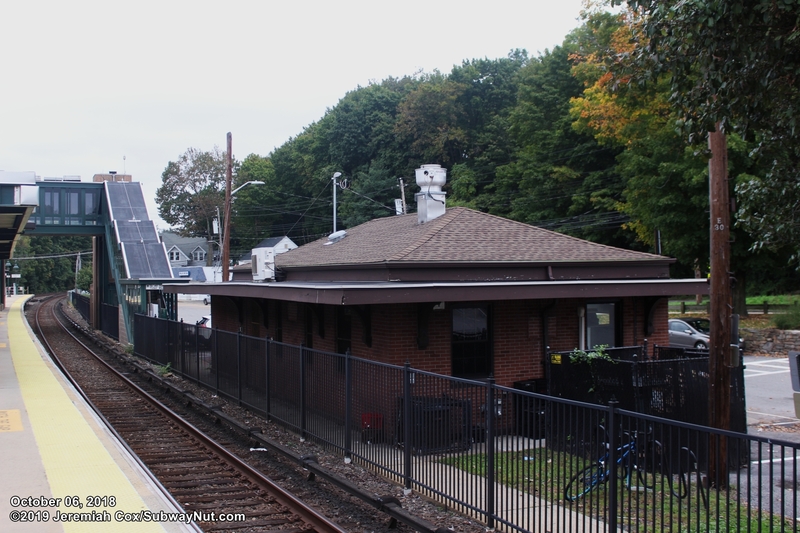 The simple brick depot is here and now contains the Station Cafe and Grill.